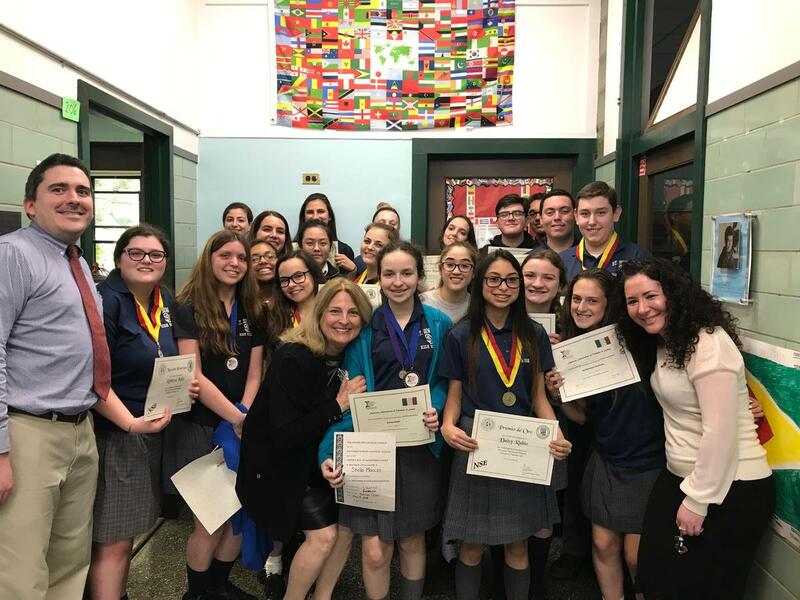 During the month of April thirty-two of our World Language Honors and upper-level students challenged themselves by taking part in the National Spanish and Italian Exams. 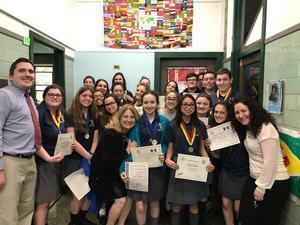 The National Spanish Exam is highly competitive with over 150,000 students across the country and more than 5,100 throughout Long Island participating. Many of our students received awards for their performance. Two students scored in the Gold category, three in the Silver and two in the Bronze. In addition eight students received Honorable Mention. Students who scored in the Gold category will be honored for their achievement at an awards ceremony in June. The National Italian Exam is equally challenging with over 5,500 students across the country participating. Two students scored in the Bronze category, and four received Honorable Mention. Mrs. Mendoza, Mr. Wikstrom, Ms. Thornton and Ms. Pellumbi are extremely proud of their students.